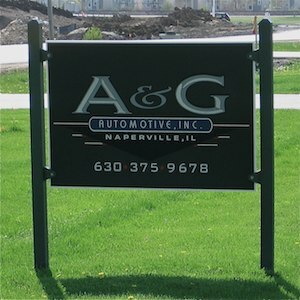 Locally owned and operated, A & G Automotive has been providing quality domestic and import repair services to Chicagoland for over 15 years. We offer excellent customer service with honest recommendations and fair prices to create a shop lead by people you can trust. We proudly use reliable ACDelco and NAPA parts. Founded in 1997 by current owner, Gary Jenkins, A & G Automotive has become a trusted destination for all vehicle needs and consultations. When the crew isn't working on customer cars, they're working on their own award-winning dragster! But somedays as late as 12 or 1. But occasionally as late as 7 or 8. Except when I'm someplace else. Happily serving Naperville, Aurora, Montgomery, Plainfield, and the entire Chicagoland region.